Hello my ka- Litratong Pinoy!! 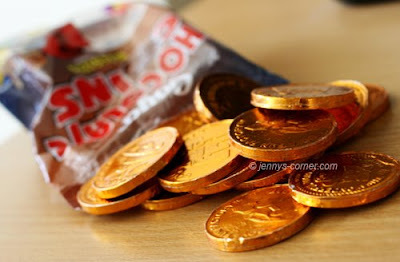 It's another Thursday and this week's theme is GOLD/GOLDEN and I was really thinking of what to share as my entry when I thought these local gold chocolate coins by Goya. I even asked my sister in law to buy me a pack of this chocolates when they went to the grocery last Sunday. I don't have a sweet tooth, I can only eat 1 chocolate bar or bite size of it and I'm done. I know there are chocoholics out there that can eat tons of chocs in one sitting. I have a different entry at my OTHER BLOG .. go see it bec. I love the shots.